Hong Kong, know as the “Oriental Pearl” is located at the southern coast of China. It is a Special Administrative Region of China and has grown from what was a simple fishing village into the world’s fourth largest banking and financial center and eighth largest trading economy. About 97% of the population are Chinese and speak Cantonese and English. It is set among beautiful natural surroundings and has all the benefits of a trhirving and vibrant commercial center. The most famous sites are the impressing Ocean Park, the fantastic viewpoint of　Victoria Peak or the beautiful Repulse Bay. Macau, in the south of China, is an unique East meets West culture. Portuguese were the first to set foot in China from the west, and like this it shows an interesting mix of Portuguese and Chinese architechures around town, old Chinese tradition particularly southern coastal Chinese and fishermen tradition, cultural relic tours, antique shopping, wine museum, Grand Prix museum, Portuguese folk dance and afterall, the gaming and entertaining scenes represented by the long time Stanley Ho empire and the new in town American games providers. 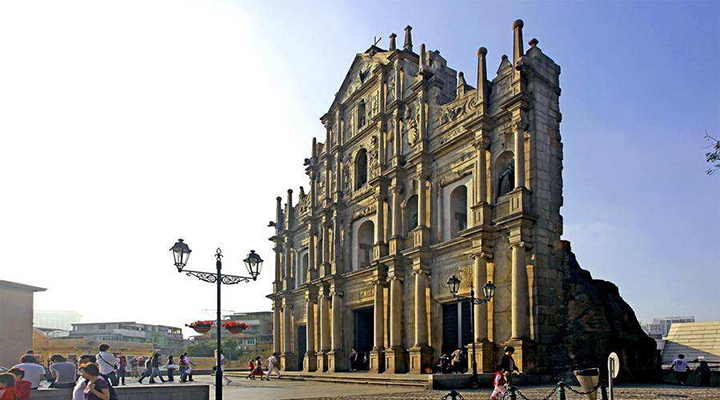 Macau trip is also an opportunity to experience unique Macanese cuisine. It is a fusion cuisine which is said that there are only around 30 chefs left in the world. Each family has its tradition of cooking and taste for a dish sharing the same name varies a lot.